After living in the Boston area for four years, I’m excited to share everything I know about the best things to see and do in Beantown. While Boston’s known for being super expensive, the city does have lots to offer the budget-conscious traveler or student. Being that we’re budget travelers (and when we lived in Boston, saved most of our money for travel anyway! ), I’m mainly covering activities at affordable price points. 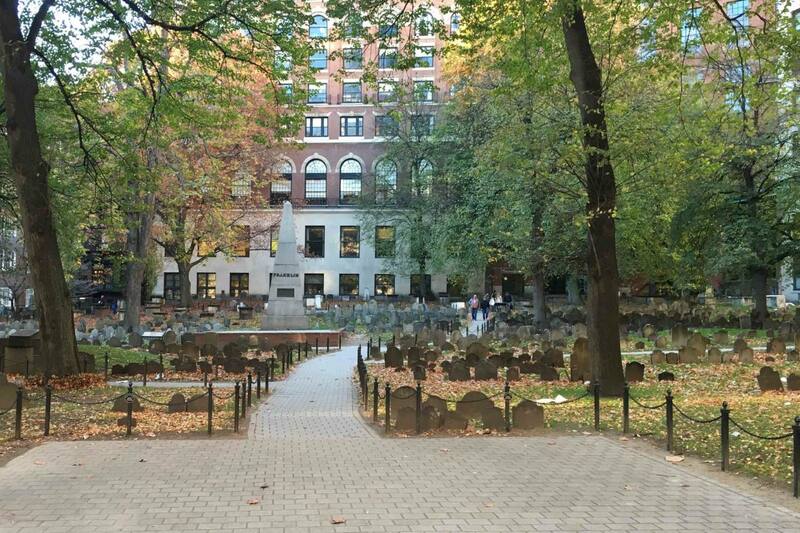 Freedom Trail – Walking the Freedom Trail is the thing to do if you’re visiting Boston. Start at the Boston Common and follow the 2.5-mile red-lined route past 16 historic sites, including Paul Revere’s home, the original Massachusetts State House, and cemeteries that date back to the 1600s. The trail ends at the Bunker Hill Monument in Charlestown, which boasts great views of the city. Thirteen of the sites along the trail are free to enter, and a $16.50 ticket covers entrance to the others. Museum of Fine Arts – The largest museum in New England, the MFA houses over half a million works of art. Like practically everything else in Boston, the museum also has historical significance: it opened on July 4, 1876, the U.S.’s centennial. Admission is $25, but it’s free on Wednesdays after 4pm. 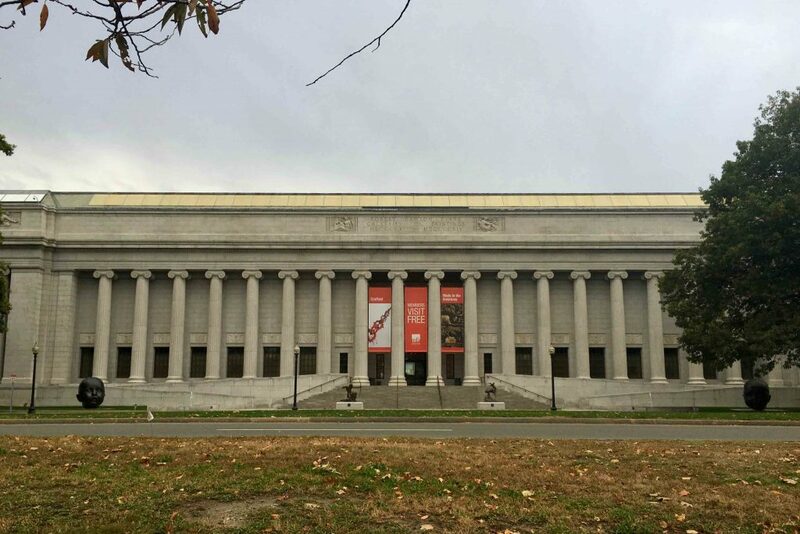 Institute of Contemporary Art – Boston’s second museum, the ICA presents contemporary art ranging from painting and sculpture to audio and video to performance art. Unless you’re a modern art connoisseur, you’ll probably find it to be all kinds of bizarre. Entrance is $15, but it’s free on Thursdays after 5pm. Isabella Stewart Gardner Museum – The Gardner Museum houses the extensive collection of its namesake, who traveled the world collecting art in the 19th century. These days, the museum is as well known for its famed 1990 heist as it is for the art. Admission is $15, but it’s free if your first name is Isabella (seriously!). Museum of Science – Boston’s Museum of Science is home to over 700 exhibits, plus a Planetarium and an IMAX theater. Admission is $25, but every Friday (except between December and February), the museum’s observatory hosts free astronomy nights. Boston Tea Party Ships and Museum – A visit to the Tea Party Museum is a one-hour tour featuring live actors, restored tea ships, videos, and interactive exhibits. Tickets are $26, but you can save 10% by purchasing online. Prudential Center Skywalk Observatory – The 50th-floor observation deck at “The Pru,” Boston’s second-tallest building, offers the best views of the city. As you walk the perimeter of the deck, a detailed audio tour explains the key sites in view. The Skywalk also houses the underrated Dreams of Freedom Museum, which showcases the role of immigration in shaping Boston’s culture and celebrates the city’s rich diversity. Tickets are $18. New England Aquarium – Boston’s aquarium is home to hundreds of aquatic species: sea turtles, penguins, stingrays, seals, jellyfish, and much more. The heart of the aquarium is a four-story 200,000-gallon salt water tank, and it also has an impressive Amazon rainforest exhibit, among many others. While zoos and aquariums raise a number of ethical concerns, this one is both educational and inspirational. Entrance is $26.95. 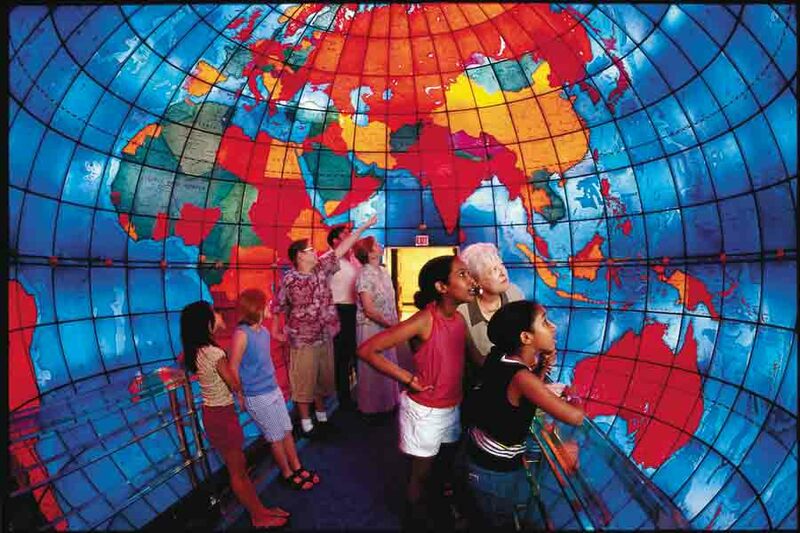 Mapparium – At the Mary Baker Eddy Library, you can visit the Mapparium on a 20-minute tour that takes you inside the three-story stained glass globe for unique presentations on history and geography (and to experience its bizarre acoustics). Admission is $6. 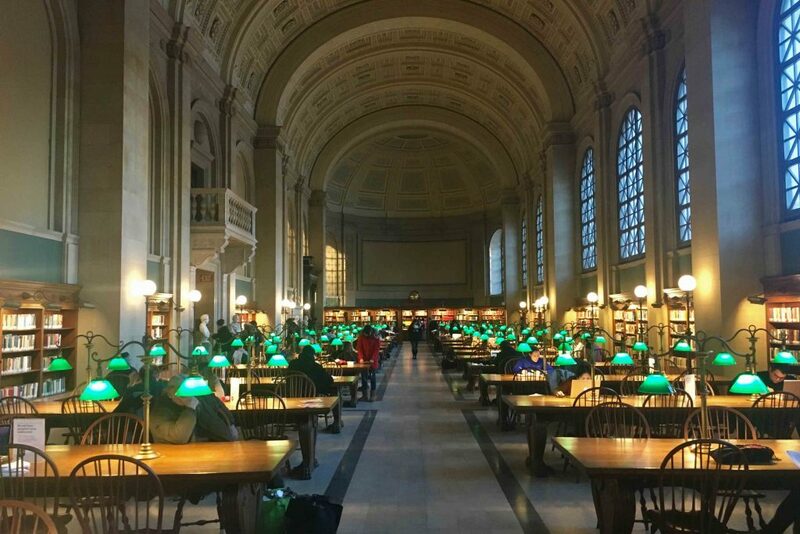 Boston Public Library – The main branch of the BPL, located in the heart of Boston’s Back Bay neighborhood, is known for its sheer scale: nearly 1 million square feet, housing over 21 million items. You can take a free one-hour tour of the library, or spend some time reading or studying in its ornate Reading Room. For a worthy splurge, the library’s Courtyard Restaurant offers an extravagant afternoon tea for $35. 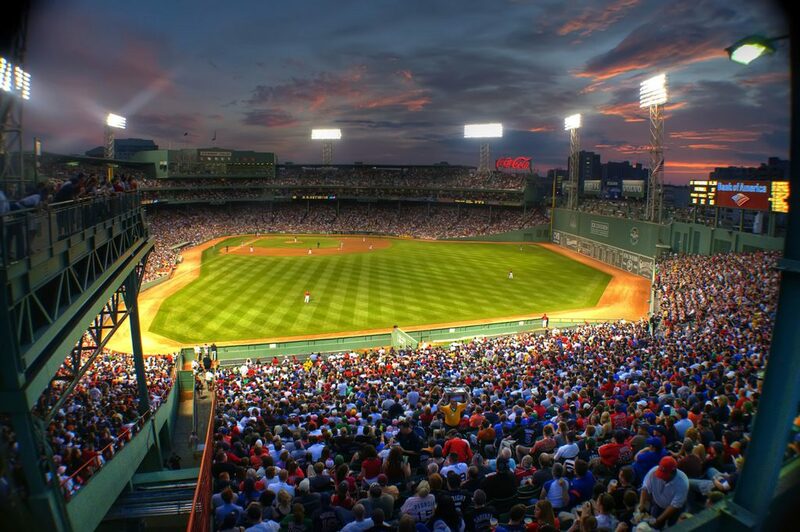 Fenway Park – Just another “oldest in the U.S.” title in Boston: the Red Sox have played at Fenway since 1912, making it the oldest stadium in Major League Baseball. One-hour tours of the stadium run seven days a week, and tickets are $18. Harvard University – Located in Cambridge, the oldest and most prestigious college in the U.S. doesn’t need much introduction. You can visit the four museums on campus, attend one of the many public events offered each day, or take a free one-hour historical tour. Red Sox – They’ve won the World Series eight times, and they play at one of the country’s most beloved stadiums (see above). Even if you’re not a baseball fanatic, a Red Sox game isn’t going to be a bad way to spend the day. Games take place from April to October, and tickets start at $10-$20, depending on the game. Patriots – They’re not the Boston Patriots, they’re the New England Patriots, which is why the stadium is actually halfway between Boston and Providence. Home games only take place about once every other week from August-January, so you’ll have to be lucky to catch one. Tickets start at between $40 (for pre-season games) and $125 (for elite games). Bruins – You knew another “first in the U.S.” was coming, right? The Bruins were the first hockey team in the country, and their original stadium is the world’s oldest indoor hockey rink still in use. Games run from September to April, so if you time it right, it may actually be warmer in the ice arena than it is outside. Tickets start at $45-$105, depending on the game. Celtics – The Celtics may not be as well known as Boston’s other three professional sports teams, but they’ve won a full 25% of NBA championships to date (just not too many recently). They also made history in 1950 for being the first NBA team to draft an African-American player. The Celtics play from October to April, and tickets to select games start at $25. Broadway in Boston – A number of Broadway shows are performed in Boston each year, including the likes of Wicked, The Lion King, and Phantom of the Opera, between January and August. Tickets start at $40. More theatre – The American Repertory Theatre at Harvard, ArtsEmerson at Emerson College, and the Boston Center for the Arts all present a huge variety of plays, concerts, films, and other performances year-round. Live music – For dedicated music spots, try Boston’s House of Blues location, Middle East in Cambridge, or Brighton Music Hall or Paradise Rock Club in our old neighborhood of Brighton. Classical music – For something a little more high-brow, Boston has plenty of classical music to offer. The Boston Symphony Orchestra has performances from September to May, and tickets to select shows start at $25. The Boston Philharmonic’s slightly shorter season runs from October to April, and tickets to many performances start at $15. Comedy – I sadly never made it to Improv Asylum, the city’s leading improvisational theatre, but it was always on my bucket list! Other popular options for comedy are Nick’s Comedy Stop, Laugh Boston, and The Wilbur, with regular and guest acts year-round. Boston Ballet – The city’s professional ballet company performs several shows throughout its season (October-May), including both traditional ballets like Sleeping Beauty and contemporary pieces. And, they do The Nutcracker every December. Tickets to most shows start at $35. AMC Assembly Row 12 – If you’re going to see a movie while you’re in Boston, do yourself a favor and see it at the Assembly Row theater in Somerville. The seats are plush armchairs, and the ones in the front even recline. Armrests between some seats can be lifted up, too (for cuddling). Tickets to evening movies are $12.99, though matinees are $11.49 and occasional morning showings are $6.49. SoWa – Open on Sundays from May to October, SoWa is Boston’s most popular farmer’s market (but it’s more than that). Farmers and growers sell local produce and dairy, nearby bakeries come with all sorts of goodies, and some of the area’s breweries and cideries are there with their brews. And bonus: lots of vendors offer free samples. But half of SoWa is an art market, where local creators sell their paintings, photography, crafts, jewelry, home goods, and more. And it wouldn’t be SoWa without the food trucks; you can find some of the city’s most popular food trucks there every Sunday, including Roxy’s Grilled Cheese, Bon Me, and Frozen Hoagies. Boston Public Market – This indoor marketplace just opened in 2015, with the admirable mission of providing fresh, local, healthy food to consumers at all income levels. Over 40 vendors sell local produce, dairy, meat, seafood, baked goods, and specialty items. While some of the food stands have other locations, Boston Public Market is the only place you can get a gourmet hot chocolate from Taza or a bagel from Levend Bagelry (both recommended!). It hosts tons of events, too. Boston Common – This 50-acre public park is the heart of Boston (and the oldest city park in the U.S., not surprisingly). It’s a great spot for a picnic when the weather’s nice, and free yoga classes are also offered during the summer. 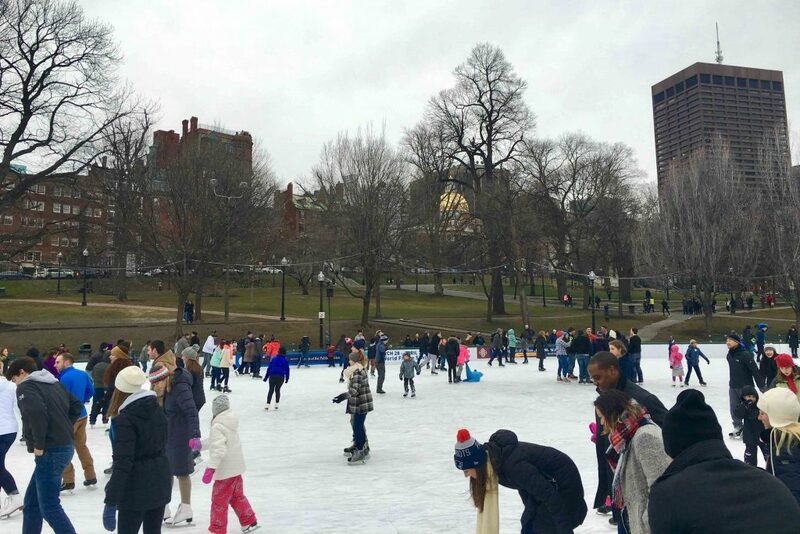 During the winter, the park’s Frog Pond is an outdoor ice skating rink, with open skating nearly all day every day. Admission is $6, and skate rentals are $12. 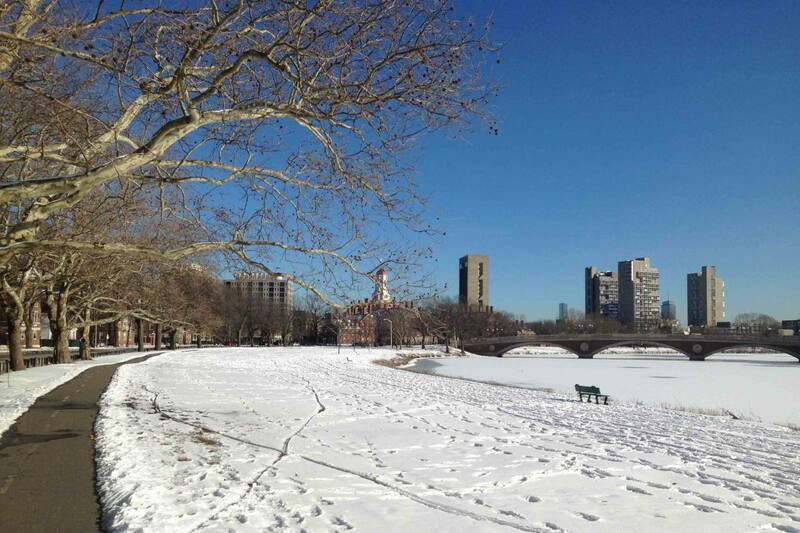 Charles River – Trust me, you do not want to go swimming in the Charles, the river that cuts through Boston. That said, it’s still offers huge opportunities to get outdoors and enjoy being active on the water. Charles River Canoe and Kayak rents canoes, kayaks, stand-up paddleboards, paddleboats, and rowboats at convenient locations in Allston and Cambridge. Solo rentals start at $15 per hour, and there are plenty of options for up to 4-person boats as well. 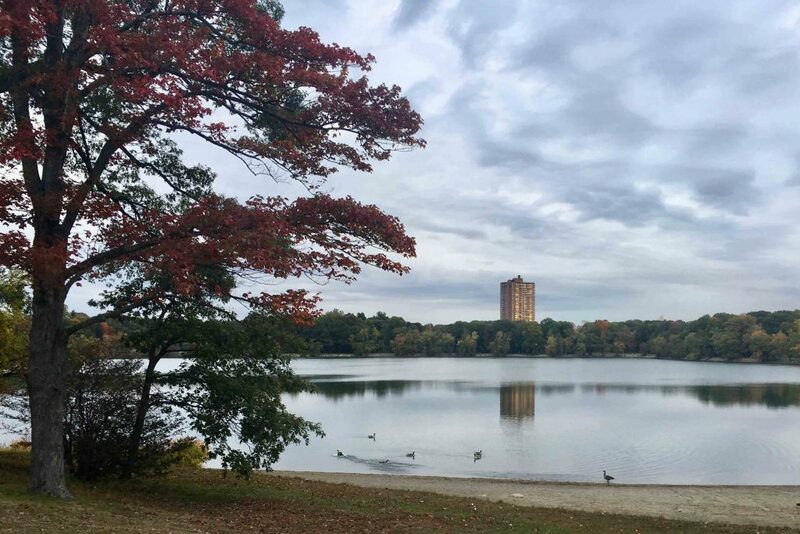 Jamaica Pond – Not too many visitors make it to the hip Jamaica Plain neighborhood south of Boston, which is home to Jamaica Pond. You can rent kayaks, rowboats, and sailboats from Courageous Sailing between April and October ($15 per hour), or walk the tranquil 1.5-mile path around the pond any time. Boston Harbor Islands – The harbor has 34 islands, but only two have ferries from Boston. There’s not a ton to do on either Georges Island or Spectacle Island, but that’s exactly the point. 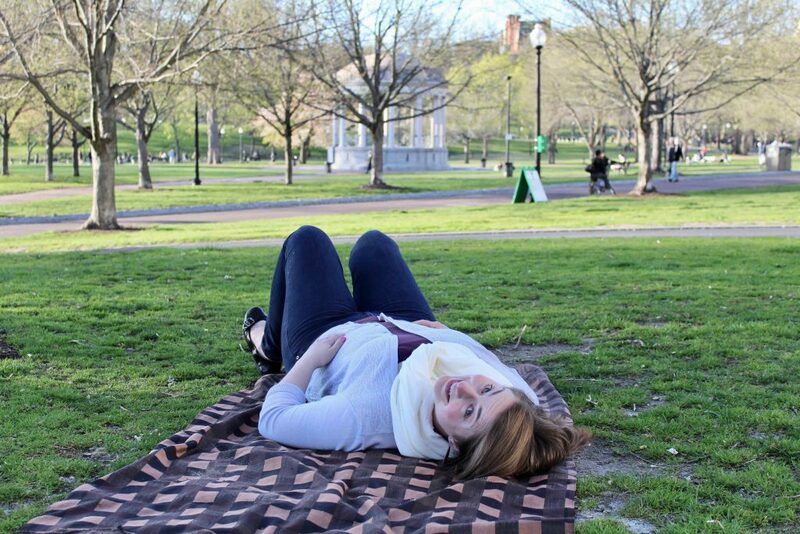 Pack a picnic, a book, and your walking shoes, and enjoy a relaxing afternoon outside. That said, there are occasional events during the summer that might be of interest, including outdoor yoga classes. 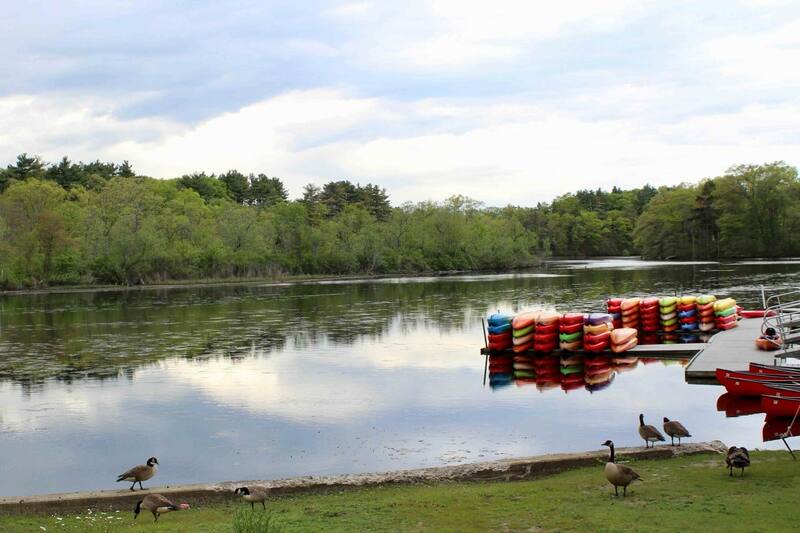 Middlesex Fells – A local favorite, the Fells is a nearly 3,000-acre park in Medford and has an extensive network of trails. While it’s most popular for hiking, Bostonians also head there for mountain biking, trail running, horseback riding, and even cross-country skiing in the winter. Several buses go right past the Fells (including the 99, 100, and 134), or you can warm up for your hike by walking 10 minutes from the Oak Grove (orange line) station. 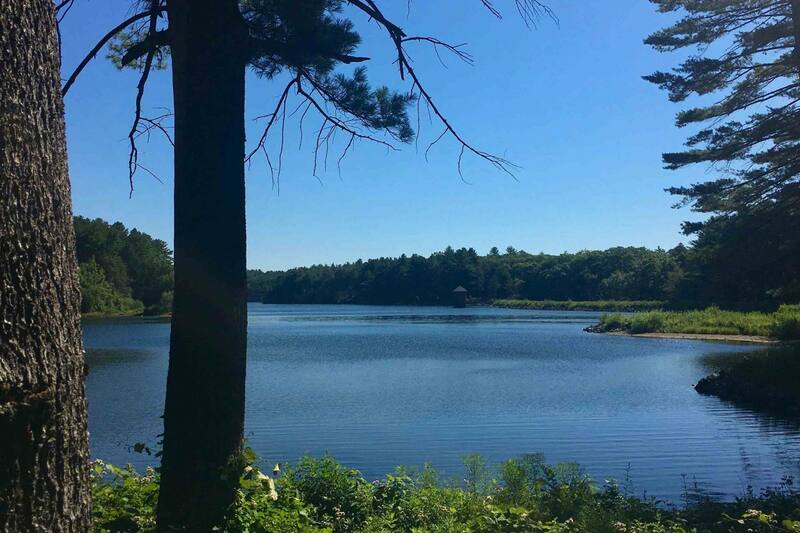 Walden Pond – Henry David Thoreau’s famous home is located in Concord, just outside of Boston. 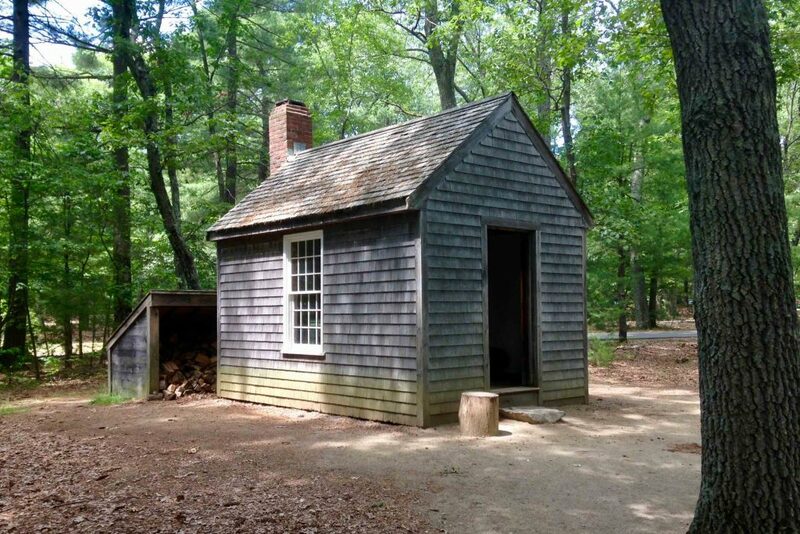 You can check out a replica of Thoreau’s (tiny) cabin, go swimming, have a picnic on the beach, and explore the paths around the pond. It’s much easier to get there by car, but you can take the Fitchburg (purple) line to Concord and walk 40 minutes or get an Uber from there. Charles River Bike Path – If you prefer water and city views, cycle the Charles River Bike Path instead, which has trails on both sides of the river. You can make an 18-mile loop from the Museum of Science to Watertown Square, or continue further toward Waltham and then double back. As you can see, this path gets used all year round! Nighttime bike tour – The Urban Adventours “Bike by Night” tour was something I put on my bucket list right after moving to Boston…but sadly never did. So I can’t personally recommend this company, but I can say that I’ve heard only great things about them. While going on a tour isn’t the most “local” of experiences, it’s the only way I’d consider cycling at night in Boston! The tour is $40 (including a bike and helmet rental) and lasts 1.5-2 hours. 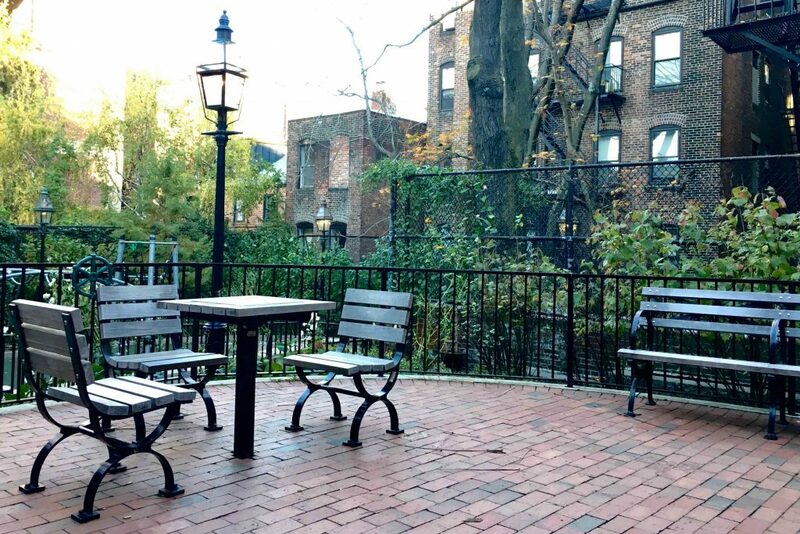 Outdoor fitness class – I’d venture to say that every single day during the summer, there’s at least one free outdoor fitness class happening somewhere in Boston. Free yoga, Zumba, Pilates, boxing, and boot camps take place at a ton of spots, including the Esplanade, The Street at Chestnut Hill, Assembly Row, the Boston Common, the Seaport, and the Rose Kennedy Greenway. 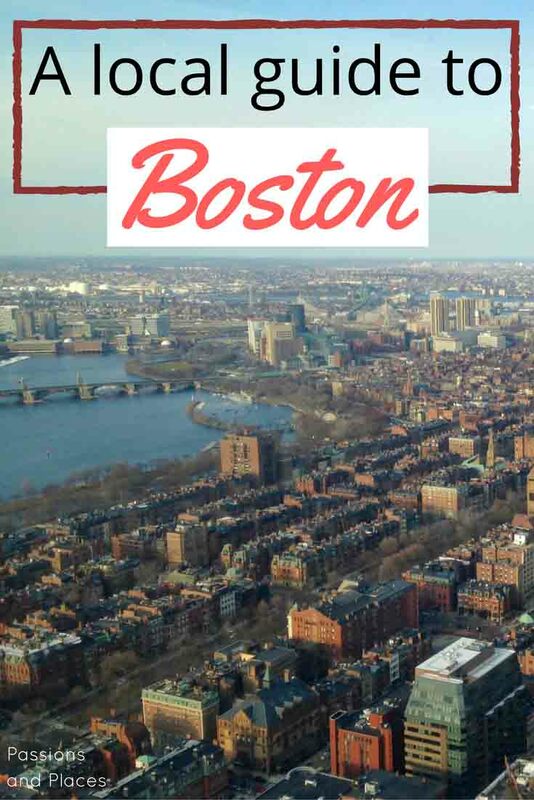 Check Boston Magazine for comprehensive info. Outdoor film – When it comes to free and outdoors, films are almost as ubiquitous as fitness classes during Boston summers. 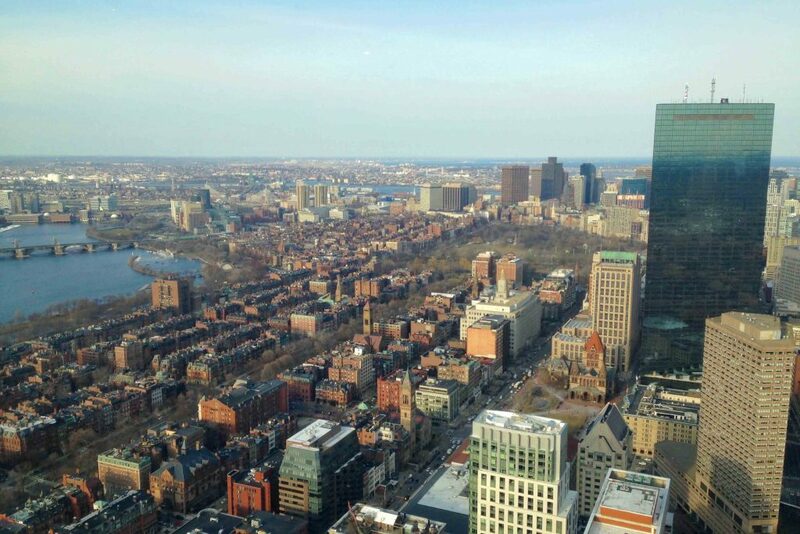 There are usually weekly showings at the Boston Harbor Hotel, the Prudential Center, Assembly Row, and the Hatch Shell, among other spots. Again, search Boston Magazine for details. 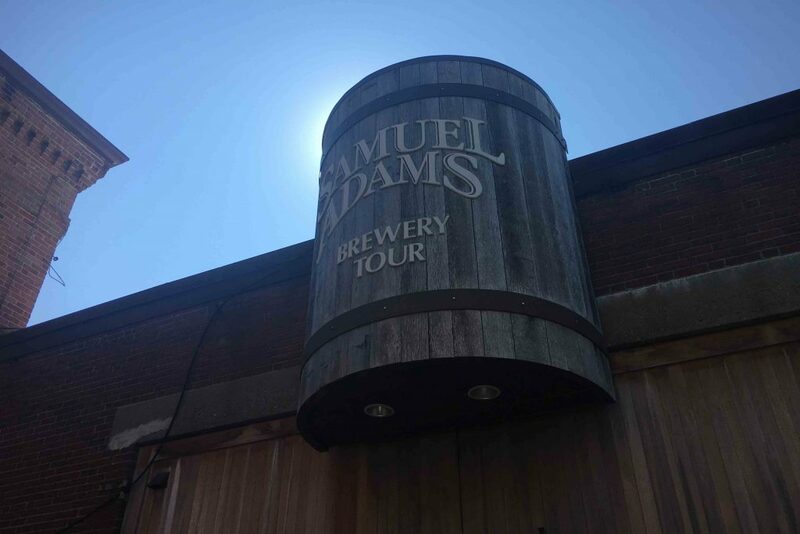 Sam Adams Brewery – Sam Adams beer is either the most popular microbrew in the U.S. – or so popular it’s not a microbrew at all. Either way, tours of the brewery in Jamaica Plain run Monday-Saturday and include tastings of small batch beers. They’re free with a suggested $2 donation to benefit local charities. We recommend the Morning Mash-In tour (just be sure to sign up online in advance). Harpoon Brewery – Boston’s second most-famous brewery, located in Southie, also has tours, which run every day and cost $5. Don’t miss the soft pretzels in the beer hall after the tour! Jack’s Abby Brewery – For a much less touristy experience, head to this smaller brewery in Framingham. Tours are free and take place on Sunday afternoons only. They’re limited to 15 people, so sign up in advance online. GrandTen Distilling – If you’re more of a liquor drinker, head to GrandTen in South Boston, which produces a wide range of spirits. Free tours are offered on Saturday afternoons, but this distillery is much better known for its Friday Night Flights program, which takes place every Friday at 6:30pm. Tickets are $20, but include a more in-depth tour, an extensive tasting that includes spirits not available anywhere else, and chats about history and mixology. Be sure to sign up in advance, as attendance is limited to 10 people (“to keep these tastings intimate and conversation lively”). Boston Harbor Distillery – Boston’s newest distillery, located in Dorchester, offers tours on Saturdays for $10. The tours include tastings of the distillery’s signature whiskeys, as well as limited release spirits distilled from Sam Adams beers (seriously!). Taza Chocolate Factory – A non-alcoholic option, the Taza Factory in Somerville makes stone-ground chocolate using traditional Mexican stone mills. Not only is it delicious, it’s also organic, and Taza is also a leader in direct trade chocolate. Tours of the factory are $8 and include ample tasting of tons of different kinds of chocolate. They’re offered seven days a week, but be sure to sign up online in advance. What’s your favorite ourhing to do in Boston? Did we miss anything? 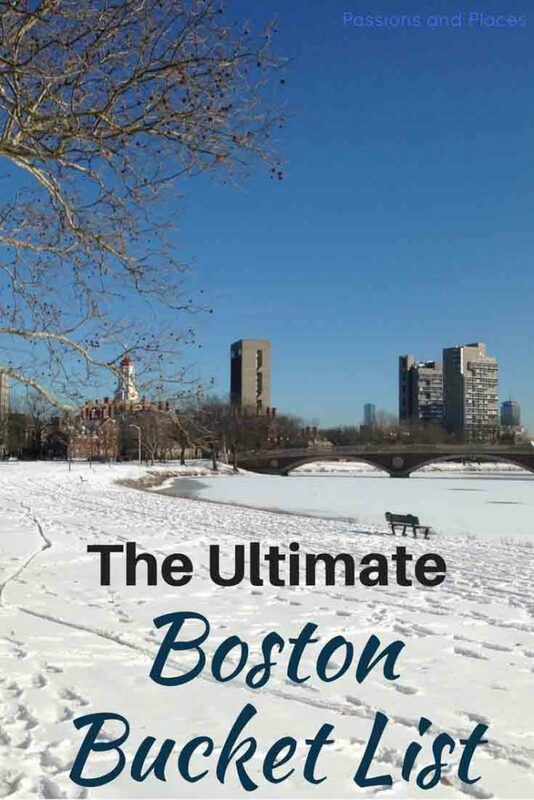 Let us know in the comments if your favorite Boston activity isn’t on the list! Thank you for your sharing. It’s very useful for me. 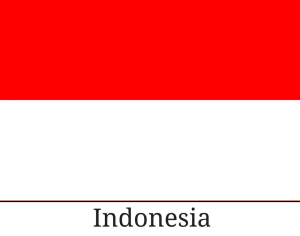 I plan to go there on March 2019. I’m glad you found it useful! Hope you enjoy your trip! Go whale watching. I was there in Oct 2016, and had the best whale watching I’ve ever had. According to the naturalist onboard we saw 21 different whales. They were feeding with bubble nets etc. The trip out to Stellwagon (sp?) area took about 90 mins, but it was well worth it. Thanks for the tip – we never did go whale watching while we lived in Boston, and it was definitely a big oversight! We are going in June. Thank you for all the information. Do you have any suggestions for where to stay that won’t break the bank? Thank you. Hi Michelle! Depending on what area of the city you want to be in, I would definitely check Airbnb. When I’ve had friends visiting, that’s often what they’ve used. Enjoy your trip! Loved this article! I visited Boston a couple years ago and took an entire day to walk the Freedom Trail – it was great for a history nut like me. You’ve inspired me to plan a trip back there one of these days – maybe in the summer so I can go cheer on the BoSox! Thank you! So glad you enjoyed your time in Boston, I hope you make it back! Really great thorough post full of interesting history. I’m excited to visit Boston sometime and will bookmark this guide for when I do!